I get it, today is the big day for football fans but when the markets open in the morning thoughts return to which markets are hot and which are not. We have some great articles below for your reading and yes, I am bullish on the commodity/resource sector as are others. It seems reasonable that this is the time to be an aggressive investor in this sector for the next few years. Late comers will be paying substantially higher prices for shares/stock warrants, but it is your choice, now or later. 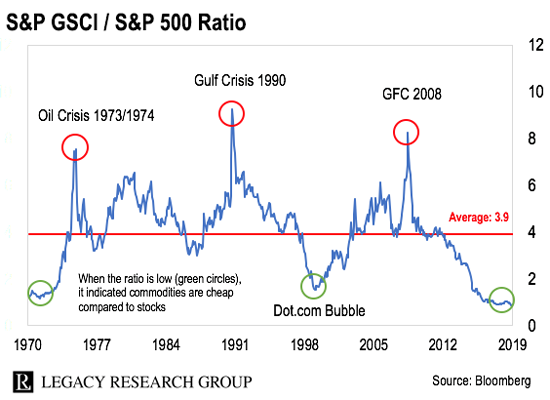 Look at this chart from our friends at CaseyResearch.com, which should motivate you to be invested now as the entire commodity sector is at its lowest in decades relative to the S&P500. For me, there is only one way to play this ‘game’ by investing in quality junior mining companies and/or long-term stock warrants trading on those companies. 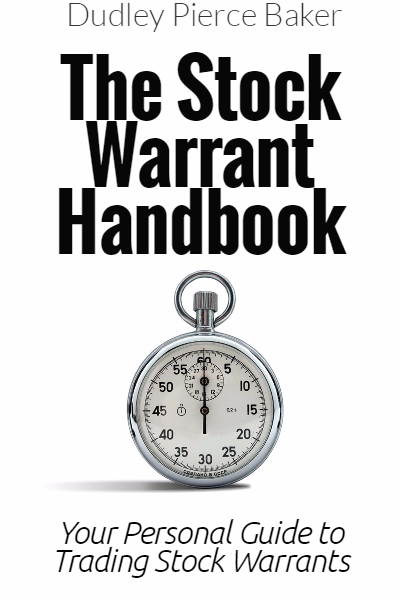 If you are not familiar with stock warrants, you can receive The Stock Warrant Handbook for FREE by visiting, http://CommonStockWarrants.com along with more freebies. As well, many investors are finding great opportunities with warrants on the U.S. stocks in other sectors, bio-techs, pharmaceuticals, banking, blank check companies, etc. Remember that only 25% or so of my personal portfolio is in stock warrants, the balance are common shares in the junior mining companies and I am on the hunt for new additions to my portfolio.There are many interesting opportunities in stocks as well as the stock warrants available today, so if you are not a current subscriber, LET’S GET YOU STARTED NOW. The next several years, 2019 – 2021 will see some exciting times in the PM sector and I am looking to make a fortune. Do you want to follow me? Let’s have some fun and make money together.